The Bod Pod! Learn how many calories your body burns at rest vs. when you're training. Learn your VO2max and lactate threshold. Then learn how that translates to training paces and heart rates so you can train smart, stretch your lactate threshold, and get faster. Make sure that your heart is in good shape. It's great for all types of athletes; really competitive athletes and athletes who are less competitive, but want to train smarter and more efficiently. Great for anyone who geeks out over data and understanding how their body works. 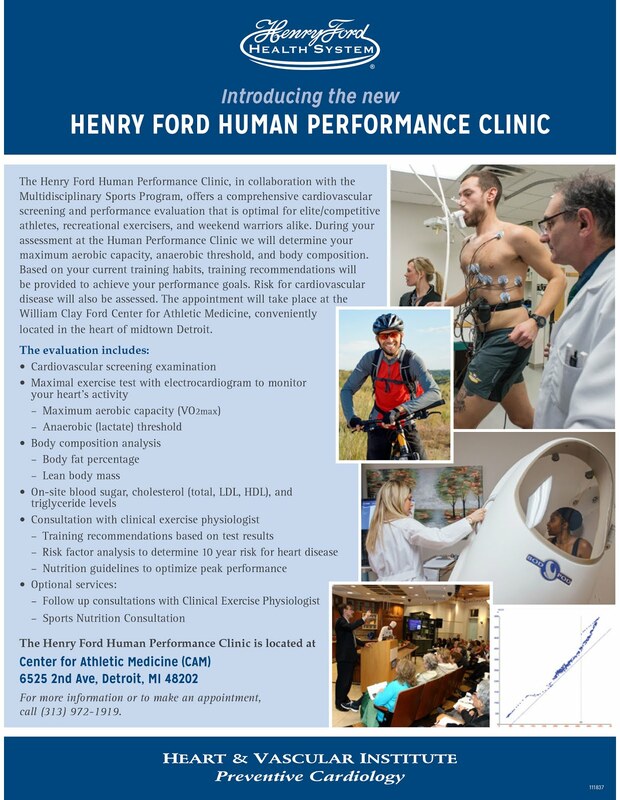 MY EXPERIENCE IN THE HENRY FORD HUMAN PERFORMANCE CLINIC. 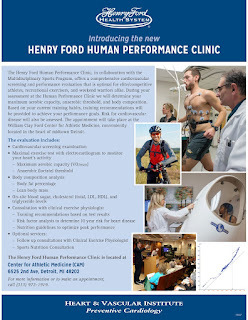 HOW MY RESULTS FROM THE HUMAN PERFORMANCE CLINIC HAVE IMPACTED MY TRAINING.